When we started this site back in 2006, we never imagined that it would become so popular. 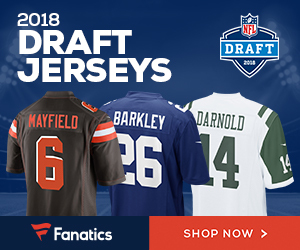 We’ve been recognized as one of the most active NFL sites on the web, and our stories have been featured in USA Today, ESPN, Sports Illustrated, Yahoo Sports, NBC Sports, Reuters, among others! We want to be your one-stop source for all the latest NFL news, game predictions, player tidbits and objective commentary. Join the discussions and banter with fellow football enthusiasts! I am the co-host of a sports gambling podcast called “The Winning Ticket”. We love Gridiron Gab and wanted to know if you might be interested in working with us to promote our podcast. Our show is 40-50 minutes of sports betting information sprinkled with original takes from four lifelong friends. As football season approaches, we are committed to giving the listener at least one weekly episode (often two episodes), as well as social media engagement, updated betting information, free picks, and much more. We are brand new to the space and we understand advertising is vital to a podcasts survival. If you’d like to learn more about how we can become involved together, please don’t hesitate to reach back out. I would love to ask you guys some questions about rates you charge or any way we could offer our services in ANY capacity to you guys.